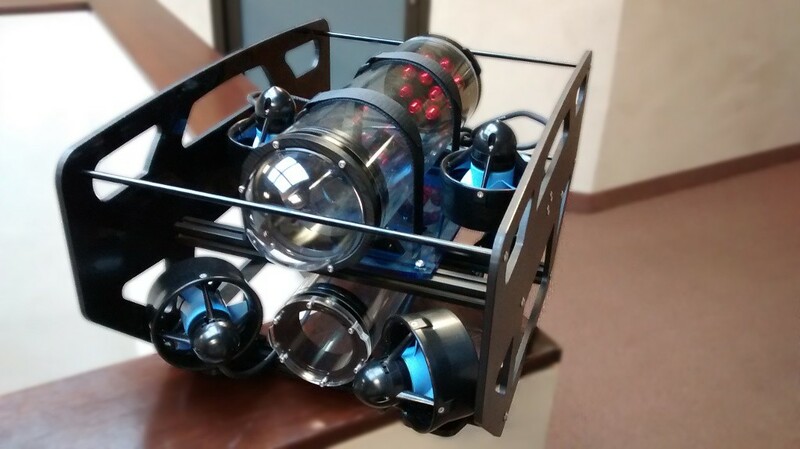 Until very recently, the design and fabrication of an underwater ROV was largely beyond the abilities of the average person. It required a solid understanding of a wide range of disciplines, from electronics to hydrodynamics, as well as experience with and access to a number of very expensive tools. A few very successful KickStarter projects, most noteably one by Blue Robotics, have reduced the skills and tools required so that small businesses, schools and even individuals with average skills and simple tools can now build a fully functional ROV. Recently I decided to try it for myself. My goals were that it be highly maneuverable, easily transported and as quick and easy to assemble as possible. 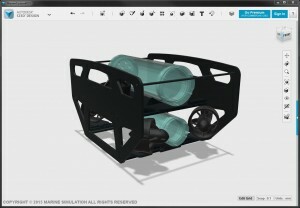 The design I settled on is a 6 vectored thruster, battery powered, open frame ROV that was mostly planned around Blue Robotics thrusters and housings. The frame and other parts I designed and had laser cut from ABS plastic. It took almost 2 weeks for the parts to arrive and roughly a day for me to assemble it all. The thrusters and housings from Blue Robotics look well made and assembled easily. The only tools I used were a set of allen wrenches. I’m impressed! In my next post I will discuss the electronics and electrical systems I’m using and then in the final installment will be the results of my tests. If you’d like to be kept up to date on my progress, be sure to “Like” our Facebook page.